Sterling silver with 18 kt yellow gold accent. 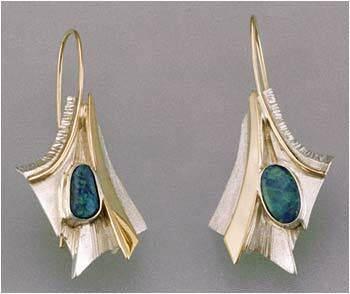 Boulder opal doublets – tw. 1.20 ct.
1 5/8” X 7/8” French wire.